Kindly accept wholeheartedly blessing for the high performance of the “Breaking down the Wall” event which was held at the Constitution Hill this last Sunday. 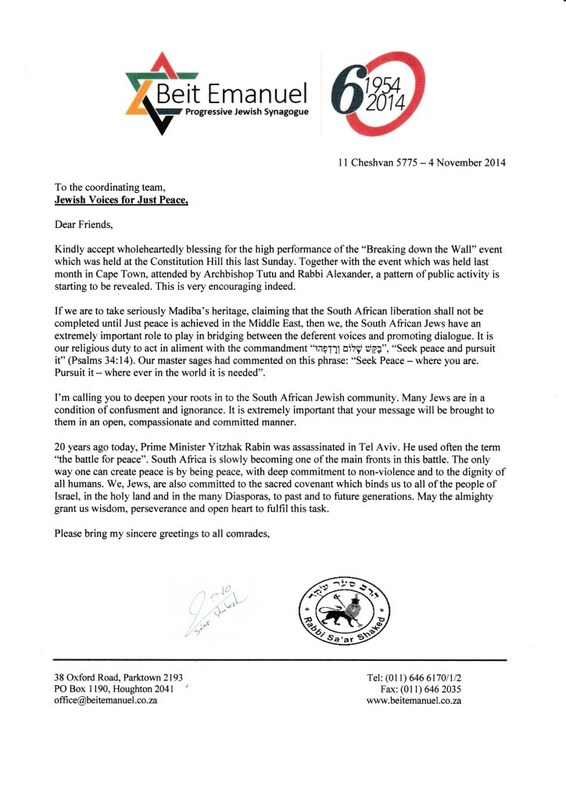 Together with the event which was held last month in Cape Town, attended by Archbishop Tutu and Rabbi Alexander, a pattern of public activity is starting to be revealed. This is very encouraging indeed.